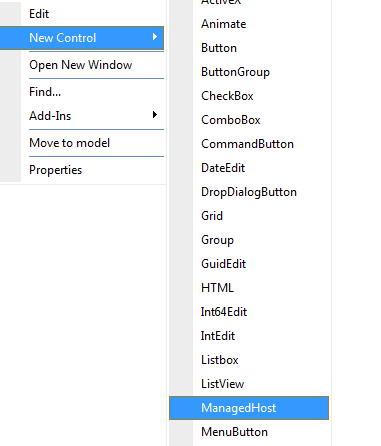 To use a custom .net control firstly you will need to add the reference DLL file to all client. 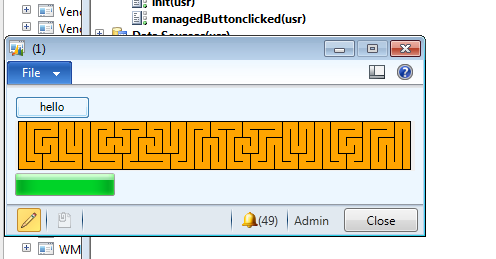 We will be adding the amazing progress bar to a simple form, however I have also added a .net button and progress bar. 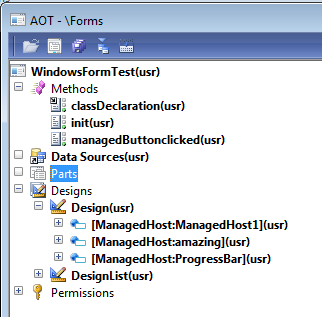 Make sure that the managed host is auto declared as you will need to set the properties in code.